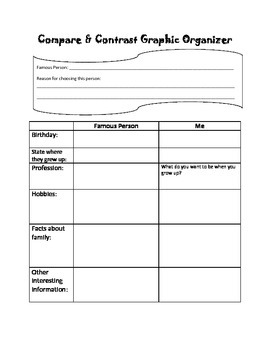 This product includes student instruction sheet for comparing and contrasting themselves with a famous person and two pages of graphic organizers. 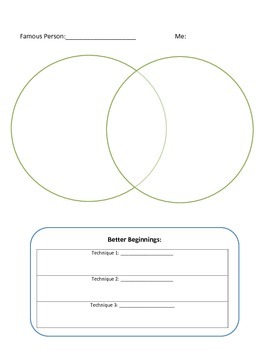 These pages focus on the planning and prewriting stages. 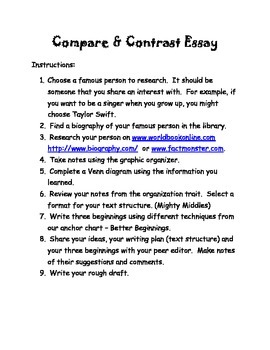 The lesson involves internet and library research in alignment with the common core writing standards.